Shirdi Sai Baba Stories,Leelas and Teachings. : Baba's Grace and Kindness-Experience By Suman. But since I had planned my offering for guru purnima only, with heavy heart I declined their offer and came back home, taking it as baba’s will. I was feeling quite dejected as I had pinned my hopes too high for this purpose but then I decided that I would celebrate baba’s birthday at my home only in my own special way. Brimming with joy again, I started making preparation to this effect. I bought small little odhni(drape) for baba’s photo(which we worship at home), brand new mala, and flowers to decorate the place. On the auspicious morning of guru purnima, I got up early and prepared asan for baba and decorated it with flowers and then preformed abhishek to baba’s picture with milk, curd, and honey to my heart content. I also lit akhand jyot the entire day in front of him and pampered him throughout the day in my own little ways I could and then put him to sleep at night. I was quite happy as I could celebrate baba’s birthday in my own special way as if he only belongs to me. Thank you baba for giving me this opportunity thank you so much. But the celebrations wasn’t meant to end here because my dear baba had even bigger plans for my birthday which was just 2 weeks after his birthday, i.e on 15th august. Daily I have the habit of opening up a blog and randomly choosing 2 or 3 stories to read and each time I was getting some beautiful birthday stories to read and I thought this can’t be a coincidence, may be baba is trying to indicate something which I am unable to decipher. Since it started few days before guru purnima, I thought may its related to baba’s birthday celebration that I am planning but then it continued even therafter, I thought..no, it definitely has something to do with my birthday. Suddenly baba inspired me to offer vastra to him on my birthday. Again I got really pumped up and then just one week before my birthday I went to mandir to place my booking. When i told panditji about my desire, he quickly ran through his dairy to schedule the booking. At first he refused saying that we already have the booking for that day, but I was sure this can’t be happening because I knew in my heart that its baba order’s and desire to celebrate my birthday with him. Then miraculously panditji enquired with his assistant and he cleared his doubt saying that prior booking is for annadan and not for abhishek or any pooja. I was smiling to myself and thanking baba in my heart because I knew he would never return his children disappointed and empty handed. Pandit ji placed my booking for that day but cherry on the cake was when he assumed I would be offering abhishek too to baba along with the vastra (because I hadn’t thought about it), so when he was confirming the booking with me....” to main aapke naam se abhishek aur vastra book karta hun…aap abhishek bhi karnegi naa? ?”(So should I book your name for Abhishek and dress offering ?will you do ?) to which I instantly gave my affirmation in nodding. I was overjoyed and the same time scolding myself that as to why I hadn’t thought of it before, but since baba was planning my birthday, he took it upon himself of planning the party. Pandit ji gave me the list of things required for abhishek and thereafter I started making the preparations for it. That same very night I made 4 chits to decide the colour of vastra for baba and when I had zeroed on 3 colours and was thinking of 4th colour, like a flash(literally like a flash) yellow colour popped up in my mind and I wrote it down in the 4th chit. At first I asked my sister to pick up one chit and it came yellow, but I was not satisfied since I had pink in my mind and then I placed chits before baba for his choice and again it came yellow. Now I knew that its baba’s will that he wants to wear yellow vastra(picture attached below). I got up early morning on my birthday and reached mandir along with my parents and sister at 6.45a.m and thereafter the ceremony for abhishek started at 7a.m. since people are not allowed to touch the main murti for abhishek coz that is done by pandit ji only, we got to do abhishek to baba’s lotus feet as per all rituals. I was happy that not only me but family could also do the abhishek with me, it was like baba was blessing all of us at the same time. Then baba was dressed with the vastra that he had chosen for himself through me and may I say he was looking so handsome and of course divine. Somewhere I knew that baba was extremely happy wearing that dress. I have attached the picture so that all of you can see that I wasn’t exaggerating. And then finally aarti was performed to baba making whole of the ambience so surreal and divine. When we were returning home from mandir and were about to enter our street, I saw a very big picture of baba at the back of the car standing at the entrance of our street, as if welcoming us back home after the celebrations. I can simply say that I was so so so happy inside that I fail to translate in words. That very same evening I very faintly wondered what baba must have felt like, was he happy with the whole thing…. Actually I was looking some kind of confirmation (sorry baba..fickle mind) and lo..behold when I opened a site in the evening and randomly chose the first experience, it was about “a girl who very surprisingly got the opportunity to do abhishek to baba along with her mother on her birthday and how she felt so blessed and happy by the entire series of events”, and that my dear friends sealed my faith, cleared my doubts and multiplied my happiness to new heights. Therefore I decided to use the same title as of her’s story “baba’s grace and kindness” for my story too. Thank you baba thank you thankyou so much. And you know what at that very instance when I finished reading the experience; the internet connection broke as if it got connected only so that I could read that very experience. I had the most amazing birthday this year because I celebrated it with baba and believe me all this while I felt so special… like a VIP , and lifting up my spirits. Thank you all for going through my experience with patience and I pray to sai baba to wish all of you reading this experience with utmost happiness, health, peace and prosperity and may baba make your birthday too a special one. Thank you Manisha ji for posting this experience on your blog. Your blog has been a great source of strength and inspiration, capable of lifting us out of the misery and answering our queries when in doubt. When somebody leaves your life forever, you take an account of the stock you have and be grateful for it. I had a beautiful golden retriever pet dog named MAX. He was just 8 year when he left us on 3rd September 2015. He died of the disease left undetected till last moment but was suffering from acute infection and pus in hind legs and surrounding area and had been suffering since for 4 months before he breathed his last in acute pain and agony. Doctor was due to perform some more test on him that very morning suspecting of some malignant disease in his belly like tumour or cancer which was causing this infection. But as fate would have it , he made his exit that very morning leaving me and my family benumbed with grief. It may all seem little tragic(which ofcourse it was), but the purpose of my writing this story is to acquaint you all that his passing away was not normal, he was the lucky one that got SADGATI at the feet of baba. 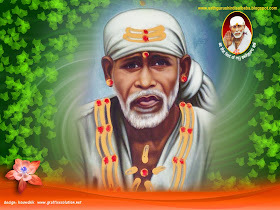 He was the chosen one by baba where baba ensured that his passing away and his rebirth are divinely blessed by him. Just like that tiger in Saicharitra who was suffering from immense pain and at last got his sadgati at baba’s feet. Here too MAX was blessed but in different manner. It all started in May with little infection on his both front legs and little later we found out that maggots (worms) had further aggravated his infection in his right leg, but doctor told in due course of time he will be healed, and slowly but steadily his infection started healing but the progress was much slow than what we had expected. Doctor later said it’s because he has got eczema(skin disease) too which is making the healing slow. It was now almost two months we started noticing the change, MAX was now getting better and could move around freely. But one day my dad noticed that Max was constantly licking beneath his hind legs where there are usually no hairs and the skin there had got red. This continued on for few days when we again contacted the doctor. Doctor after examining him told us that his eczema has spread on to this area and would again take lot of time to recover. But with passing time his eczema got gross too much that MAX got problem with even lying down properly and was constantly licking that area coz of the itchiness and pus. My dad and I were cleaning his wounds two times a day and administering him the required medicines alongside but with no positive results. In between doctor even changed the medication but even that didn’t helped for his relief. I would like to add here that throughout this period I was giving udi to MAX along with the tablets and was even applying it to affected area with constant prayers to baba invoking his blessing for him. Like this one and half month passed and we were mentally and physically exhausted with the continuous series of hope and disappointment, we also consulted another doctor too who prescribed another doses and injections but not even minor recovery was in sight. Days were passing like this and MAX was writhing in pain and agony and we helplessly watched him suffer. I got my first assurance from baba when one day I went out to buy MAX’s medicines. Somewhere deep down I was really upset with baba and the whole situation. In that somber mood, as soon as I got out of my street I saw “SAI KRIPA” written in big font on the front of one car, then two bikes successively went past me with huge sai baba pictures on them ,and if that was not enough one auto with so many baba stickers crossed my way as soon as I stopped in front of the medical store. And with that started divine intervention and assurances of baba in his own inscrutable ways. But it didn’t stopped there. I along with my sister and father was supposed to visit our brother for rakshabandhan for four days at gurgaon and we were scheduled to depart on 27august night but since I wasn’t feeling really well myself too and also since my mother could not take care of MAX alone, I decided to stay back while they left. On 26th august while I was reading the book Ambrosia in shirdi I suddenly got the inspiration to start two week prayan of sai sacharitra from one of the story in the book but without any purpose in mind. I have the habit of doing prayan once every month, so I took it as baba’s reminder of doing the prayan for that month. I started the prayan on 27th august and very next morning I developed chest congestion and cold to which my mother worriedly suggested that I should go to the homeopathic doctor ASAP. On 29th august I went to doctor in the morning all by myself. While waiting for my turn at the clinic, I was scrolling down the stories of baba’s leelas at the site “saileelas.org” in my iphone when I came across a story tagged “sai baba saves a pet dog”. I instantly opened and read this beautiful story and started linking this story to my MAX’s condition but then wondered could it just be a coincidence since my mind was so much engrossed with these thoughts and therefore came across this story. But that very moment a lady’s mobile (sitting next to me) rang with a “ om sai ram “ dhun as if clearing all the speck of doubts in my mind. Even though I was quite sick, baba was giving me enough strength to complete my every day of prayan alongside. Every day after completing that day of set prayan I would give and apply udi to his affected area. After 2 days I was going through a site and was randomly selecting stories to read, that after reading one story I came across one story titled “ sai baba saves benji baba”. Curiosly I opened this story and to my surprise it was yet another story of a pet dog named benji baba cured by our very own dear baba. I really can’t express the kind of relief, hope and strength I got by reading this story, I was so happy inside that now baba will surely cure my MAX. But baba had some other things in his mind and was giving me these signs and assurances with other purpose which I will tell you at the end of this story. That very day doctor came on a visit and after examining MAX again said the problem might not be eczema after all but surely there is some internal disease like cancer or tumor and test needs to be conducted to confirm this. I asked for a day time since I had to consult this with my dad who was coming next day i.e 1st Sep ’15. I don’t know why but suddenly I remembered that I had baba’s tirth which I had got on my birthday on 15 august ‘15 from baba’s abhishek. Wishing for some miracle, I gave this tirth to max orally and also sprinkled some on him not knowing the baba’s real intentions behind it. My dad came on 1st sept night and he decided we would consult some other well known doctor regarding this and called him the very next morning to which he replied he would come on 3rd sept morning for checkup. I was simply not prepared for another new consultation. I was praying rather ordering baba tearfully to cure my MAX since he had assured me so many times. 2nd sept was the last day of my prayan and I was suppose to start another week of prayan the next day, but just before going to bed I pre laid the condition to baba that only if I see any positive changes in MAX’s condition in morning that I will start the prayan otherwise not. I was awake till 2’o clock in the morning seeing MAX miserable condition and in so much pain. I don’t know when I slept, that MAX who was not even able to walk and move past few days came at the back of our house just in front of our bedroom window around 5’o clock in the morning and gathered all his strength and cried in agony as if calling us one last time and sat down then and there and started breathing heavily. My elder sister and I instantly got up to look up through window. My sister and I started crying profusely and woke up our parents to check him up. I went to pooja room and got hold of sai sacharitra with a question as to the fate of my MAX. I randomly opened it three to four times but didn’t got any satisfactory response since it was not there. I was getting restless and angry with baba that I thought of Jaya Wahi’s book “ sai baba is still alive”. 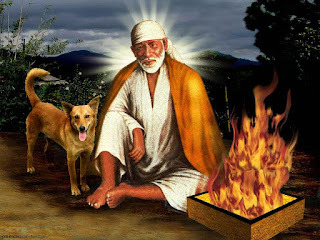 I beseeched baba to help me and randomly opened a page titled “The final journey- to Baba, With Baba” where Jaya Wahi gifts Sai sacharitra to a guy named Deepak who unknowingly completes sai sacharitra reading just before he breathes his last thus ensuring salvation for him in death. 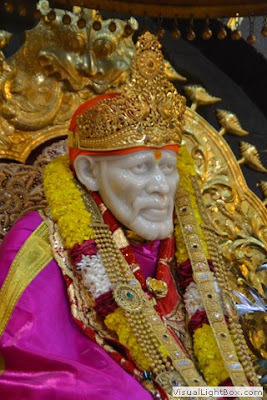 I knew baba had answered my question but my mind was not willing to accept it, baba had assured me he’ll be fine... that’s the reason he made me do sai sacharitra prayan and complete it in nick of time since that tearful morning was Thursday. I again resorted to saileelas.org site in my iphone and randomly opened a tag named Abdul Baba. This story was how abdul baba appeared in one devotee house early morning to indirectly inform him of Radhakrishna aayi sad demise in shirdi and also collaborating a brief narration of baba attaining Samadhi. This was enough for me to understand that MAX was ready to leave and thus made his final exit at 7.30 a.m. I did not take another week prayan. After grieving for few days I sat down to understand that why baba assured me time and again that MAX will be cured fully when things were suppose to happen otherwise. Things I could make out from all the above happenings is like this. Like most of the people I too consider baba as my father, mother, guardian, my soul mate and here too baba was acting one. He knows that I am an extremely emotional and sensitive person, not strong enough to withstand the pain and agony of her loved ones and just like a loving father, mother would do in such a situation, he too was trying to calm and pacify my agitated mind and heart that everything will be fine and Max would be cured soon. He never forewarned me about his death in any way because he knew that I loved Max too much and will not be able to bear his separation but very lovingly ensured that my Max attains salvation (sadgati) in his death by making me do prayan of sai satcharitra. I am so so so thankful to my dear baba who was so kind enough to ensure such a blissful demise for a pet dog at his lotus feat. I mean I have read it in sai satcharitra about tiger salvation but never ever I have came across such incident or story in recent times. Now since this story is getting long I will take your leave and would express my gratitude to the people for reading this story with patience. Thanku manisha ji and every member of this group for taking this story in relevance and publishing it at your blog.